Painful arthritis can make it difficult to get through the day. Luckily, chiropractic care can help reduce pain, stiffness and other unpleasant symptoms. Bradenton, FL chiropractor, Jay Schwartz, DC, of SunCoast SpineCare explains how chiropractic treatment can help you. Both osteoarthritis and rheumatoid arthritis causes inflammation in your joints, including the fingers, toes, hips, neck, elbows, ankles, knees and backs. Osteoarthritis typically occurs in older people, but may also develop if you've had an injury, are obese or have a family history of the condition. 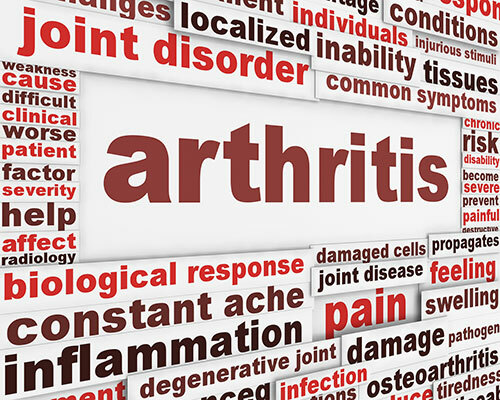 Rheumatoid arthritis is a progressive autoimmune disease that damages and deforms the joints. If you have osteoarthritis, the cartilage at the ends of your bones begins to break down due to wear and tear. Rheumatoid arthritis attacks the lining of your joints. How can a chiropractor help your Arthritis? Chiropractors use spinal adjustments to bring your spine into proper alignment. When your spine is aligned correctly, your range of motion improves and it's easier for the body to heal. Chiropractic treatment can help reduce pain and stiffness caused by arthritis. Adjustments are very helpful whether you have osteoarthritis or rheumatoid arthritis, although you should avoid adjustments during the inflammatory phase of rheumatoid arthritis. Before beginning treatment, your Bradenton chiropractor will perform a thorough examination and take X-rays to identify problem areas. What other types of arthritis treatments do chiropractors offer? Chiropractors offer several other types of therapy that can help reduce pain and stiffness. Massage and trigger point therapy targets the source of muscle pain, while ultrasound treatment uses sound waves to decrease swelling and stiffness. Laser treatment can also help reduce inflammation. In addition to these therapies, your chiropractor may offer stretches and exercises that help reduce stiffness and increase mobility. He may also recommend dietary changes and nutritional supplements that will help you keep your condition under control. How a Chiropractor can Help With Arthritis? Don't let arthritis pain prevent you from doing the things you love. Contact the chiropractors at SunCoast SpineCare in Bradenton, FL by calling (941) 365-6400 today!